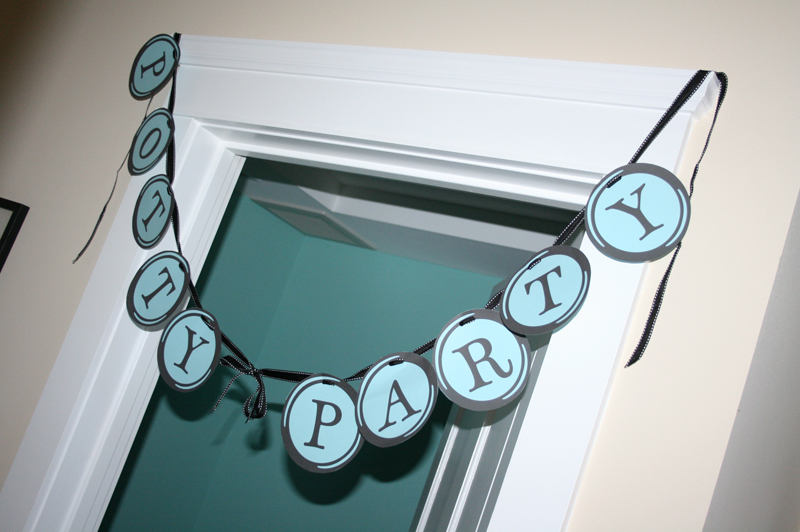 I apologize in advance if this alienates any of my readers, but I wanted to share a really unconventional, no guests allowed party with you… the infamous Potty Party! Potty training a 2-year-old seemed as fun to me as a snake in my boot. I was dreading it. But a friend of mine mentioned that she heard of someone focusing on the task in one day and turning it into a party of sorts. A party? Okay. Maybe this wouldn’t be so bad. I was on board. 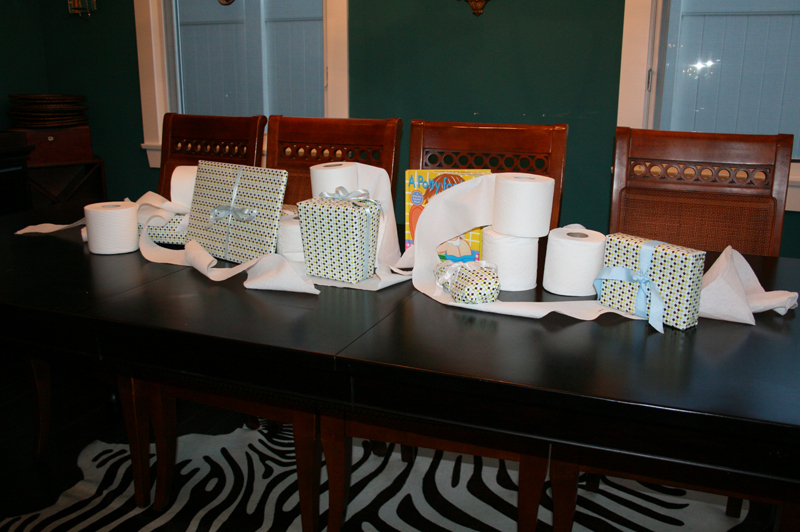 My son and I discussed how fun the “Potty Party” was going to be for a couple weeks before throwing it. I decorated the house after he went to bed the night before and we kicked off the morning with a candle in a donut as a reward for using the bathroom. I wrapped up very small prizes (books, cars, bubbles, nothing big) and every time we had a successful journey to the toilet, he got to unwrap something, do a craft, get a sticker, or cook (which he loves to help me do.) 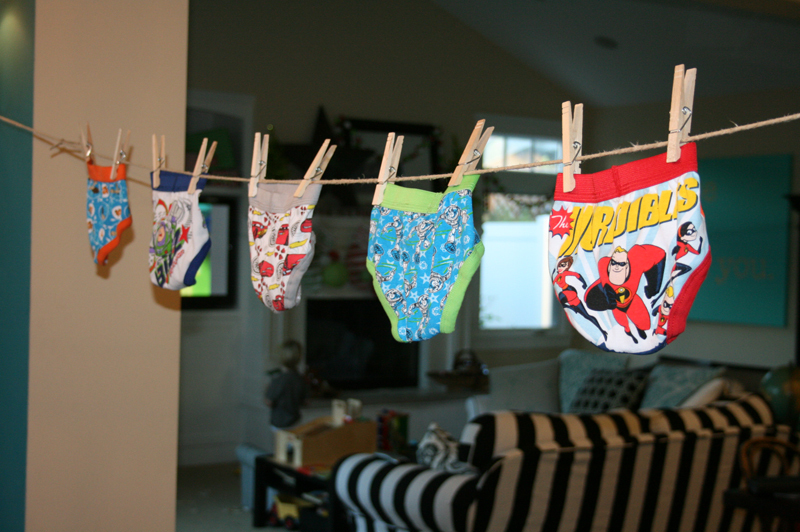 I hung his big boy pants from a clothesline, put toilet paper all over the dining room table, and just spent the day asking him “Do you have to go?” as he hung out in his underoos. It was a total success. And the best part about this day? He only had a couple accidents in the weeks following the party. 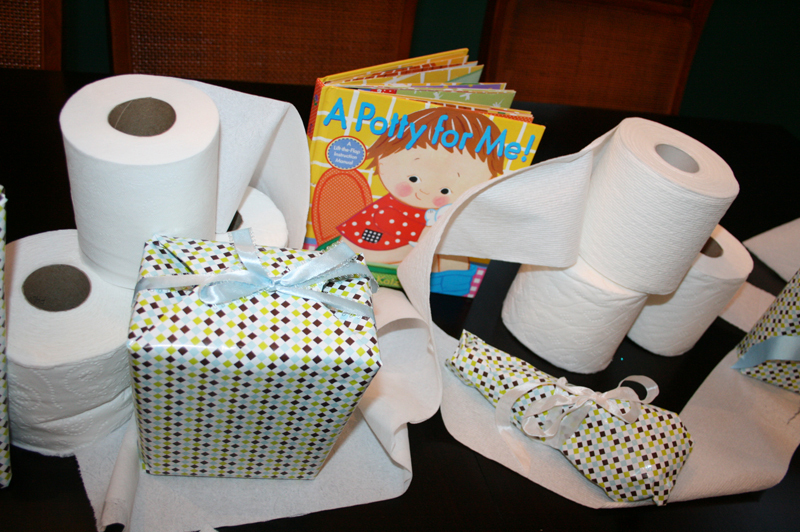 I must say that the Potty Party concept totally works! 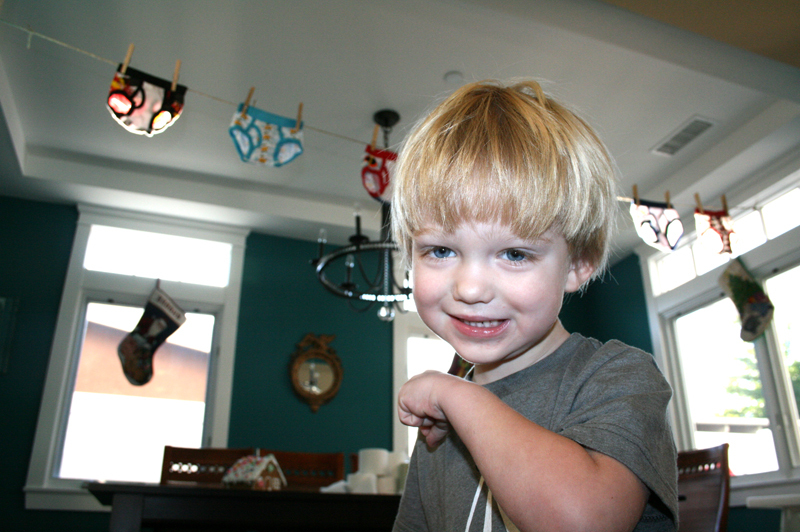 Less money for diapers means more money for real parties… you know, a party without underwear in the dining room. I guess the point is, that parties can come in all shapes & sizes and can even have a guest list of one. No real fuss here. Just changed things up to be a little more exciting for this kiddo. We’re potty training children one party at a time. 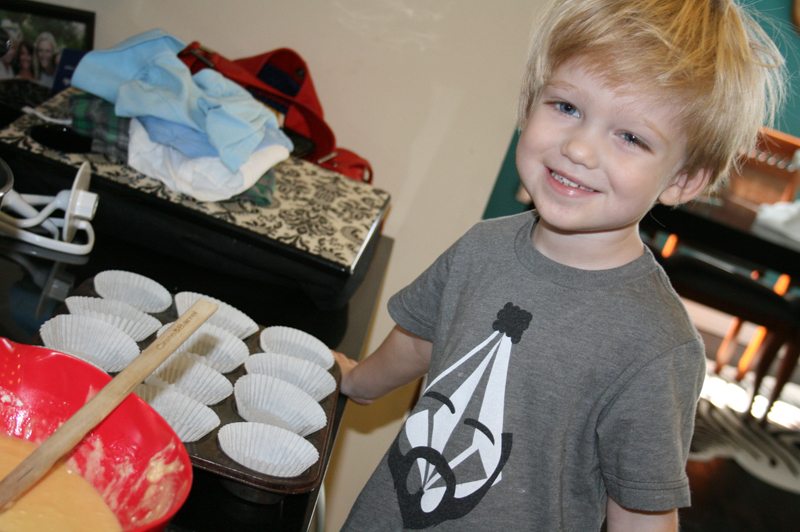 This entry was posted in parties for kiddos by Annika. Bookmark the permalink. Love it! I’ll be putting this one to work in a couple weeks — wish me luck! I think I might have to try this with my little 3 yr old hold out. That is a great idea!…. My daughter is training her 2 year old twins Lily & Emma. I will be stealing this idea for sure. Just need to make a banner and buy a few more prizes and we will be all set. I think my 2.5 year old will love it.